Bartók’s Viola Concerto is an amazing piece and was actually left unfinished by the composer Béla Bartók. Only rough, handwritten scratches of the concerto were found after the composer’s death, but the concerto was eventually completed finished by his close friend and has since found its way into the repertoire of every violist who is looking for a challenge. The Bartók Viola Concerto was commissioned by the virtuoso violist William Primrose in the winter of 1944. Bartók was not a well-known composer in the USA at that time and we can say that this Viola Concerto brought him fame. Unfortunately, he did not live enough to see it or to hear Primrose play the piece. Bartók was living in Saranac Lake, New York when he began working on the concerto. It was July 1945 and he was suffering from the terminal stages of leukemia. In a letter to Primrose in September, the composer claimed that he was almost done with the piece and he only had to finish the orchestration. But when he died later that month, there were only disjoint sketches left. So, how did Bartók’s Viola Concerto became such a complete musical piece? The concerto was truly like a puzzle: many sheets of music and annotations without numeration and only a few pages with orchestration. Tibor Serly put the pieces together with the help of some suggestions from Primrose. Serly was Bartók’s close friend and also a composer. There is still controversy over how much of the Viola Concerto is in fact Bartók’s and not Serly’s alterations. 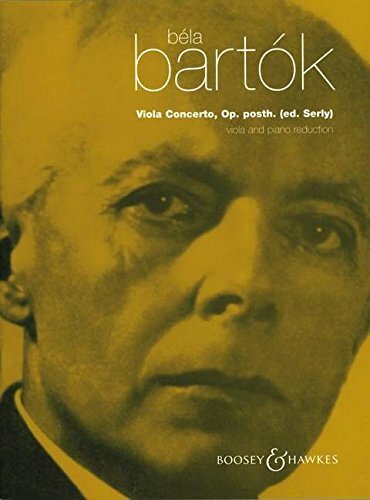 Bartók’s Viola Concerto was first performed on December 2, 1949, by the Minneapolis Symphony Orchestra. Antal Doráti conducted the orchestra and Primrose played the viola. 2008 Revision by a Hungarian viola player Csaba Erdélyi. If you want to know more to the story of Bartók’s Viola Concerto, you can read it in Primrose’s book Walk on the North Side, from page 185. All movements are preceded by a recurring introduction which is sort of a ritornello. The first movement is in a loose sonata form. The whole concerto is written in a tragic mood, and you can especially hear it in the first sad theme. It recurs again and again in the first movement, but always ends up somewhere else. A recitative cadenza leads to the second movement. The viola seems to talk like a person throughout this movement when played by a skilled violist. Some say that you can even hear a prayer in the music interrupted by sobs and blows. The second movement is half as long as the first and closes with a very short scherzo with harsh chords on the viola which is an attack into the third movement. The viola aggressively and persistently plays chromatic themes with fast notes. A folk tune brings a reprise from this aggression for a while, but the moody theme returns. The concerto ends abruptly, like a sudden death. Bartók’s Viola Concerto is a challenge even for a skilled viola player. One of the reasons why the piece is far from easy is the length of each movement: 10’20″ for the first movement, 5’10″ for the second and 4’45″ for the third. We must consider the fact that Primrose was a great and famous violist. So, what was challenging for him can be almost impossible for an average viola player. If you want to prove to yourself and to the rest of the world that you are exceptional, Bartók’s Viola Concerto may be a great way to do it. Bartók’s life story deserves a separate article or even a book. But here are the main facts necessary to understand his music. Bartók was born on March 25, 1881 in the small Banatian town of Nagyszentmiklós in the Kingdom of Hungary, Austria-Hungary. He made his first public appearance as a pianist at age 11 in 1892 and at the age of 18, entered the Budapest academy of music to study piano and composition. From 1909 – 1935. Bartók taught piano at the Budapest Academy. After the First World War, Bartok re-started his career as a concert pianist. After teaching. he worked as an ethnomusicologist at the Academy of Sciences where he completed a full collection of Hungarian folk music. In 1940, Bartók emigrated to the USA with his family. He died five years later on September 26, 1945. 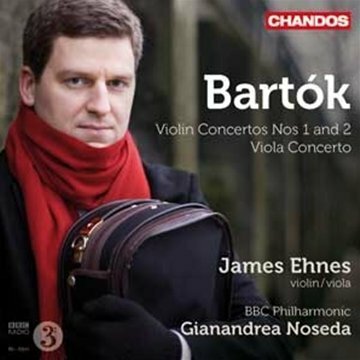 The Viola Concerto is the last and probably the best work of Bartók. You can hear the tragedy of war and death in it. It is both spectacular to listen to and most challenging to play. It is too bad that Bartók did not live to finish it himself. Béla Bartók, Viola Concerto: Facsimile Edition of the Autograph Draft, Nelson Dellamaggiore, editor (Tampa: Rinaldi Printing, 1995): 24.